Lauded as the greatest novel of the Mexican Revolution, The Underdogs is "a foundational work of modern Mexican and Latin American literature." "Demetrio Macias, a poor, illiterate Indian, must join the rebels to save his family. Courageous and charismatic, he earns a generalship in Pancho Villa’s army, only to become discouraged with the cause after it becomes hopelessly factionalized. 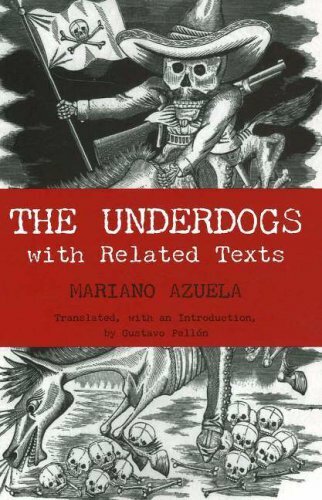 At once a spare, moving depiction of the limits of political idealism, an authentic representation of Mexico’s peasant life, and a timeless portrait of revolution, The Underdogs is an iconic novel of the Latin American experience and a powerful novel about the disillusionment of war." Note: This translation by Gustavo Pellon is the one we recommend. (Other translations are often considered stilted with dialog rendering the characters as caricatures of themselves.) In addition, this version offers an extensive appendix setting the novel in its historical, literary, & political context.